The proposed article is devoted to the analysis of terms of foreign origin, which are actively used in the legal sphere, mostly in the conceptual framework of civil and arbitral procedures, both in scientific circulation and doctrine, by including into articles, monographs, scientific and general-audience publications, and in the official judicial practice when recording various kinds of judicial acts: definitions, decisions, rulings, judicial orders. The authors state common approaches and provisions regarding the rules and requirements of legal writing, upon that paying special attention to legal terminology, its concept, meaning, limits of use and types of legal terms. 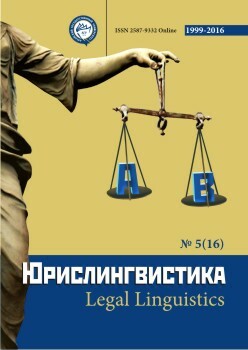 The article describes two ways of forming these terms in the Russian legal language, their subspecies are indicated, examples of borrowed foreign terms and categories are given. At the end of the article, the authors refer to both positive and negative points when borrowing and adopting legal terms of foreign origin. Алексеев С.С. Общая теория права: В 2-х т, Т. 2. - М., 1981. Иеринг Р. Юридическая техника / сост. А.В. Поляков. – М.: Статут, 2008. Коган В.М. Логико-юридическая структура советского уголовного закона. Алма-Ата: Казахстан, 1966. Лызлов Д.Н., Картухин В.Ю. Юридическая техника, Учебное пособие. М., 2009. Матузов Н.И. Теория государства и права. М., 2004. Милославская Д. Юридические термины и их интерпретации // Ростовская Электронная Газета. - 1999. - № 21. Элементарные начала общей теории права: Учебное пособие для вузов / Под общей ред. д-ра. юрид. наук, проф. В. И. Червонюка. М., 2003. Alekseev S.S. General theory of law: In 2 vol. [ Obshhaja teorija prava], V. 2. - M., 1981. Iering R. Legal Writing / comp. A.V. Polyakov [Juridicheskaja tehnika]. - Moscow: Statute, 2008. Kogan V.M. Logical and Legal Structure of the Soviet Criminal Law [Logiko-juridicheskaja struktura sovetskogo ugolovnogo zakona]. Alma-Ata: Kazakhstan, 1966. Lyzlov DN, Kartukhin V.Yu. Legal Writing [Juridicheskaja tehnika], Textbook. M., 2009. Matuzov N.I. Theory of State and Law [Teorija gosudarstva i prava]. M., 2004. 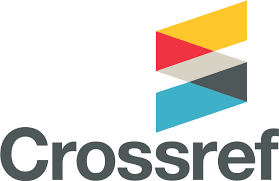 Miloslavskaya D. Legal terms and their interpretations [Juridicheskie terminy i ih interpretacii]// Rostov Electronic Newspaper. - 1999. - No. 21. Basics of the general theory of law: Textbook for colleges/ Under the general ed. Dr. Jurid. Sciences, prof. VI Chervonyuk [Jelementarnye nachala obshhej teorii prava: Uchebnoe posobie dlja vuzov]. M., 2003.